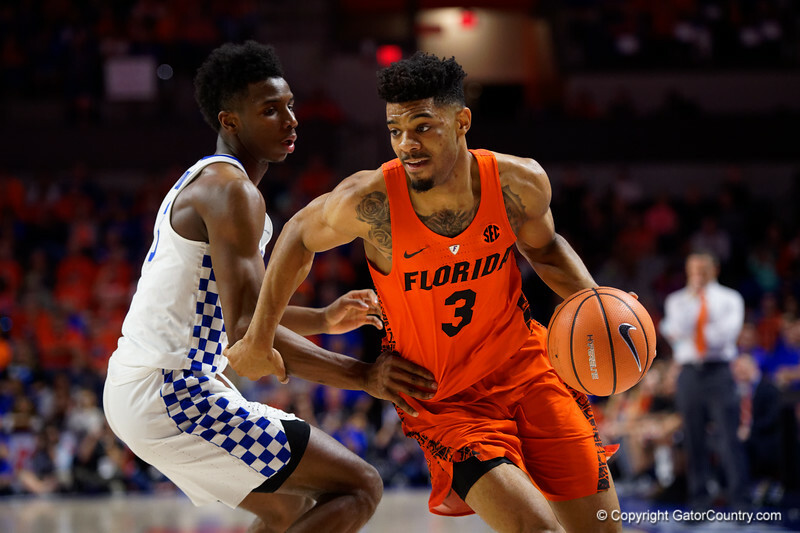 University of Florida Gators guard Jalen Hudson dribbles toward the basket during the first half as the Gators host the Kentucky Wildcats in Exactech Arena at the Stephen C. O'Connell Center in Gainesville, Florida. March 3rd, 2018. Gator Country photo by David Bowie.